The Assembly Quartet is a professional chamber music ensemble whose mission is to promote music and education. Formed in 2003 at the University of South Carolina, the Quartet’s principal objective is to engage audiences and communities with chamber music and music of our time. Assembly has completed residencies in Mississippi, Michigan, North Dakota, South Carolina, North Carolina, and Tennessee. The group has performed with the Minot Symphony Orchestra, the Motor City Symphony, and the Aiken Concert Band along with perforances at the North American Saxophone Alliance Conferences, the International Saxophone Symposium, and the World Saxophone Congress. 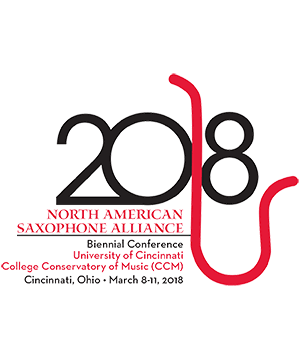 Committed to furthering the saxophone repertoire, Assembly has commissioned works by Marilyn Shrude, David Maslanka, Marc Mellits, Simon Fink, and Benjamin Taylor. The Assembly Quartet is a versatile ensemble, comfortable performing a wide variety of styles from orchestral pops to virtuosic avant-garde. Members include: Jeffrey Heisler, Ian Jeffress, Matthew Younglove, and Adam Estes. Jeffrey Heisler Soprano Saxophone undefined . . .
Ian Jeffress Alto Saxophone undefined . . .
Matthew Younglove Tenor Saxophone undefined . . .
Adam Estes Baritone Saxophone undefined . . .
I-Chen Yeh Piano undefined . . .
Jonathan Ovalle Percussion undefined . . .